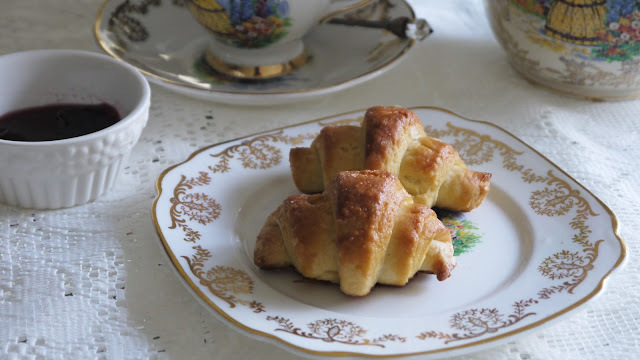 They look like croissants, don't they? They do taste like croissants but they don't have the texture of a croissant. 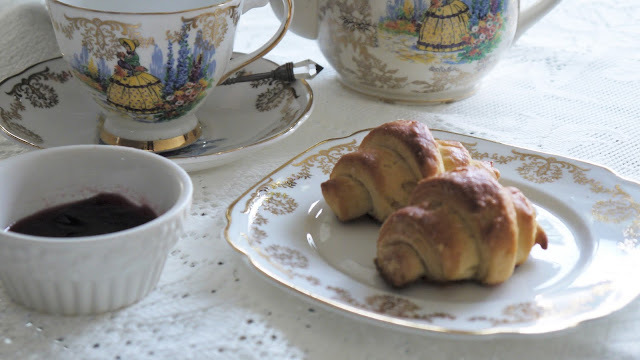 These are my quick croissants which I have baked for the first time for the Bake Along theme. Dust with flour your work surface and your rolling pin and start rolling the dough into a rectangular roughly two to three times as long as it is wide.The dough is pretty hard to work with at the beginning but will come together while rolling and folding. Flip the dough over so the seams are underneath. Repeat the rolling and folding process steps three more times, giving the dough a total of four times of rolling and folding. On a lightly floured surface roll the dough into a rectangular of 16 inches x 10 inches. Cut the dough into triangles, it will make about 8 triangles. Preheat the oven to 230C. Brush the croissants with egg wash.
Bake for 8 minutes than reduce the oven to 190C and bake for another 10-15 minutes until deep golden brown. Her Frozen Wings and Joyce from Kitchen Flavours. thanks Karen, they do if you're not fussy. hi lian, these are quite similar to the easy croissants that zoe made too! 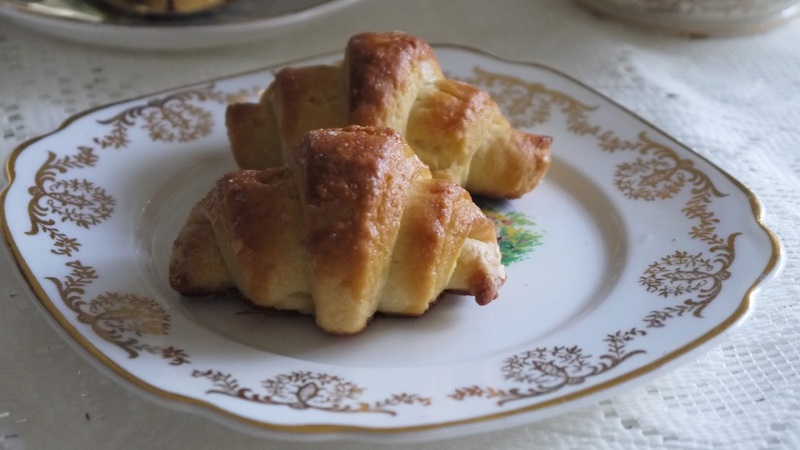 ya,not very easy to make real croissants at home and if anyone were to bake these wonderful quick croissants for me, i would be very very happy to gobble them up! Yes, it is;D these croissants are better than some I had. Your croissants looks really nice. I have been frustrated making the traditional ones and will probably try them again in the future! A piece of this buttery croissant is just perfect with Kopi-O!